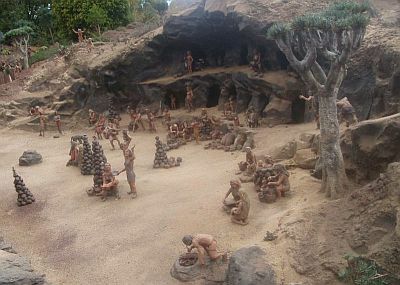 The earliest known history of Tenerife begins with the Guanche people. They were original inhabitants of the island and their presence can be dated back to about 200BC. Unlike the typical Spaniard, who is dark haired with olive skin, these people had fair hair and were tall, with a Scandinavian appearance. In Tenerife today, you can see many native Tinerfeños with fair hair and they are descended from the Guanches. When in Tenerife, you may have seen hotels or businesses incorporating the word "Tinerfe" in their name and thought it maybe was a variation on the name "Tenerife" (as I did). This is the island's way of honouring the history of Tenerife, because, apparently, this was the name of one of the original Guanche "menceys", or monarchs, of the island and he is still remembered even now. Tinerfe had nine children and, after his death, there was a lot of arguing as to how the island would be divided up between them. Eventually, it was decided to create nine menceyatos, or municipalities, each ruled by one of the sons. 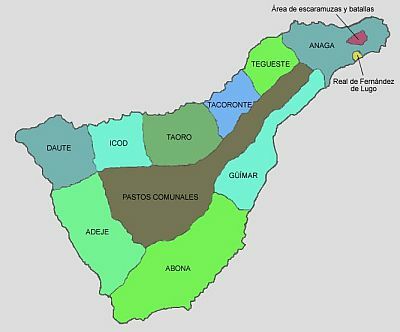 Thus were formed all the municipal areas of Tenerife known today. After Tinerfe's death, the island of the nine menceyatos existed for over a millennium, pretty much isolated from the outside world. Then, at the start of the 15th century, the Spanish arrived to make their mark on the history of Tenerife. An initial Spanish expedition to the neighbouring Canarian islands of Lanzarote and Fuerteventura conquored these with ease, as the islanders, with no agriculture to speak of and close to starvation, readily surrendered. The other five islands put up a fight. One by one, they fell to the Castilian aggressors. 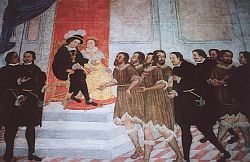 The last one was Tenerife and its inhabitants, the Guanches, finally capitulated in 1496. During the conquest, strangely enough, the menceyatos divided themselves into two groups. Those comprising the north and west sides of the island were the Bando de Guerra (the side of war), while the others, in the east and south, were the Bando de Paz(the side of peace). The Bando de Guerra fought bravely, defeating the advancing Spanish marauders on more than one occasion. They were eventually overcome by a combination of superior Spanish weapon technology and, believe it or not, influenza and smallpox, brought by the invaders to the quarantined island. Thereafter, those Guanches not struck down by disease were enslaved and there was a mass immigration of people from territories of the Spanish Empire, such as Portugal, Italy and Germany. Land subsequently had to be cleared to make room for this growing population, Tenerife's forests were chopped down and the new crop, sugar cane, was introduced. The history of Tenerife and, indeed, all the Canary islands continued under Castilian, then Spanish rule. Over the centuries, however, invasion attempts and assaults still continued. In 1797, the island was attacked by a British fleet, under Rear-Admiral Horatio Nelson. The Tinerfeños fought back bravely, resulting in a rare defeat for the British master tactician. There were other periodic attacks, including a task force led by Walter Raleigh. By the 1890s, Tenerife had been discovered as a holiday destination, with visitors at this time generally centered around Santa Cruz and Puerto de la Cruz. This concept of tourism established itself firmly and is a tradition that has survived to the present day. Next, the history of Tenerife entered another turbulent period, with the start of the Spanish Civil War (1936-1939). 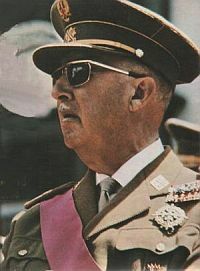 After three years of bloody conflict, the Spanish royal family was dethroned and General Francisco Franco installed as leader of a Dictatorship. In Tenerife, there was a mass execution of opponents to the new regime and many Tinerfeños subsequently fled to Cuba or Latin America. King Juan Carlos I of Spain On the 22nd of November, 1975, Franco died and, two days later, King Juan Carlos I was installed as the new Spanish king, ending years of dictatorship. For the next 39 years, Juan Carlos was king of Spain, with his wife, Queen Sofia (Reina Sofia, after whom the South Airport is named) by his side. 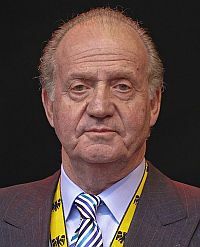 In June, 2014, Juan Carlos announced his intention to abdicate and hand over the throne to his son, Felipe, Prince of Asturias. 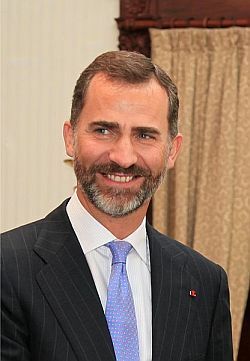 The prince then became King Felipe VI. His wife, one-time journalist and news reporter Letizia Ortiz Rocasolano, became the new queen. On the 22nd of November, 1975, Franco died and, two days later, King Juan Carlos I was installed as the new Spanish king, ending years of dictatorship. For the next 39 years, Juan Carlos was king of Spain, with his wife, Queen Sofia (Reina Sofia, after whom the South Airport is named) by his side.